After a few months of living with her boyfriend Greg, Jill Gardner is still getting used to sharing such close quarters, but she's got no hesitation about joining him for a weekend at South Cove's most luxurious resort. While Greg and his college pals celebrate their buddy's upcoming wedding, Jill intends to pamper herself in style. 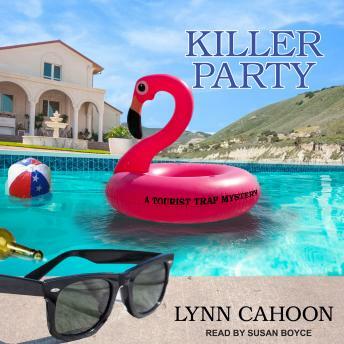 But when the groom is found floating facedown in the pool, Jill must find the killer fast, or she might not have a boyfriend to come home to anymore . . .